Bravelets has been in business for a little over 4 years now, and since then we have made changes to products, internal structure, and so much more. We make these changes to grow and evolve. Most, if not all, of these changes were implemented to further benefit our customers and fundraisers. Today, we are announcing a bigger change. But I assure you, this change is for the good of the company, to better the Bravelets community. "Bravelets™ was built on honesty and transparency. To me, there is nothing more important than those two values. As such, I am going to be honest and transparent with you today. 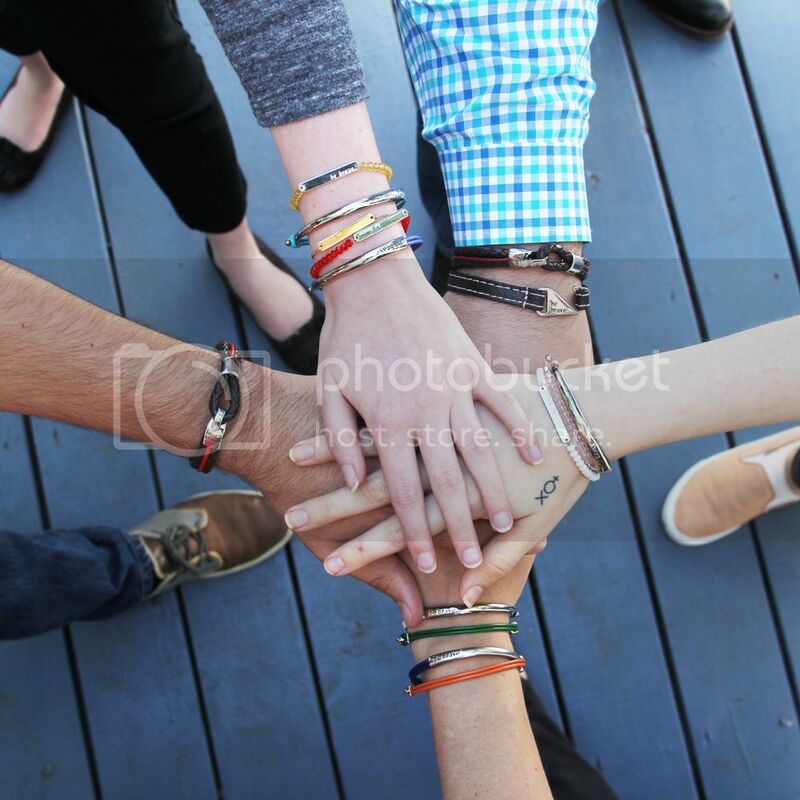 Bravelets was launched in January 2012 and has since seen huge successes – over $2.4 million raised for organizations and personal fundraisers across the US, and hundreds of thousands of lives touched. However, we have also had our share of struggles. In 2012, we had 1 employee, 1 product, and donated to 10 nonprofits. Our strategy was simple. Today, we have 10 employees, hundreds of unique products, work with thousands nonprofits and personal fundraisers, as well as over 100 Independent Fundraising Consultants who sell Bravelets jewelry across the country. Our vision for the company has grown dramatically, and we have been able to touch so many more lives than in the beginning of this journey. However, with this growth comes new expenses that we simply cannot afford with our current business model. Some statistics show that 96% of new businesses fail within the first 10 years. Bravelets will not be one of those companies. We are committed to creating inspirational jewelry and products, and to help people be brave through hard times. We are also committed to donating a clear, consistent amount with every product sold. However, we are making a change. We’re lucky that we have not had to make any changes to our donations until this point, but the time has come. Effective August 1, 2016 we are changing our donation amount from $10 to 10% of each item sold. This will impact all items sold through your Brave Page(s) after August 1st, 2016. This was an extremely difficult decision, but I believe it’s the right one. As CEO of Bravelets, I need to be brave and make the difficult decisions to ensure the long term success and sustainability of our brand and vision. When someone is going through a difficult time, it is most important to me that they can turn to Bravelets for support and encouragement. To continue helping people be brave for the decades to come, we must make this change to our donation amount. When I launched Bravelets, I was in a very dark place in my life. My mom had just been diagnosed with breast cancer, and I wanted to create something that my family could wear to support her, and to help her be brave during this difficult time. I also thought it would be great if the bracelet donated a clear and transparent amount back to a respected breast cancer organization. None of this has changed. The Bravelets mission is alive and well. We are here for the long haul, and we are committed to creating a community to help as many people be brave through difficult times as we possibly can. We are truly thankful for everyone who is a part of the Bravelets community; whether you fundraise with us, have donated to your cause with a bracelet, or are one of our amazing Fundraising Consultants, you are appreciated. This change is not to set you back or pull the wool over your eyes. Changing our donation amount is necessary to keep Bravelets operating and spreading bravery around the country! This change will also ensure our future. We have made it this far, and we have no intention of stopping. We are aiming to give back as much as we possibly can to you and YOUR cause. We value every single one of you and what you have added to our mission. If you have any questions or concerns, feel free to email us at donations@bravelets.com. We will be right here if you need us. As always, remember to be brave. Thank you for your activity for these year. I've found a lot of great information for my work at https://sites.google.com/site/cheapessayforme/edubirdie-com-review so I appreciate your work so much!